Customer Reviews are very important for every company. In order to express their views and help potential clients make the best choice customers share their views. It’s a good way to tell others about your experience with certain kind of company and the services that the company provided you. 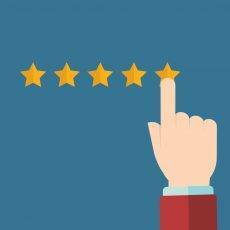 When we choose among businesses or services we always look for customer reviews to see how a certain company deals with customers. At San Diego Auto Shipping we are always happy to get feedback from our clients. The majority of our clients take some time and write a review about our company and services. San Diego Auto Shipping appreciates that! San Diego Auto Shipping is one of the top-rated car shipping companies in San Diego. Here are some of the reviews about our San Diego Auto Shipping that we have got from our customers. My rep at San Diego Car Shipping was very helpful. I was worried about the condition of my car so called him a bunch of times, and he answered every question that I had. The car arrived in a great shape. Besides, I had expensive stuff in the car, but everything I left was still there and was also alright which I really liked. Excellent and reliable service from start to finish across the country and I’ve used many car transport services in the past. I highly recommend! Had my Honda shipped from the dealership in Los Angeles to San Antonio. The pickup was a few days late, but delivery date was still made on time. Most importantly my car was shipped undamaged. Pleased and would use again. They provided the best quote for my car out of all car transport companies! The pickup was on time but the delivery got delayed by a couple of days but free of any damage. The pickup happened on the day John said it would and I got my car in LA on the day that it was scheduled to arrive. My driver was really great, gave me specific times of his arrival and stuck to those times. I was very happy with my results as my car was perfect. I want to thank everyone I worked with for making this such an enjoyable experience for me.